Comfortable eye coverage for children's eye glasses. 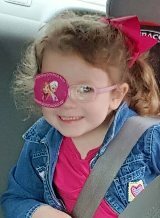 Let us know if you would like a free iron on image added to your eye patch. 1 1/2 inch (top to bottom) opening for child glasses' lens. Made of felt and flannel. 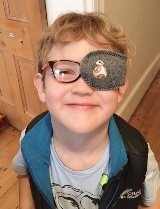 My son loves his Patch Pals on his glasses. He will not do anything sticky on his body, not even plasters when he cuts himself, so the sticky ones don't work for us. - Bronwen H.
Looking wonderful with her Frozen Sister Sparkle Pink Pocket! 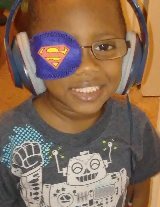 My son is loving is new eye patch. He has to be patched at all times, so this had made the process so much easier. He has already picked out his next eye patches!! 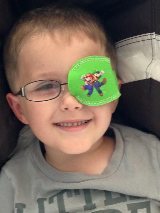 - Ashley M.
LOVE the Mario Brothers, it's great having them available on an eye patch.